This is the first game in the Watch Dogs series. For other games in the series see the Watch Dogs category. Watch Dogs (stylized as WATCH_DOGS) is an open world action-adventure game developed by Ubisoft Montreal and published by Ubisoft. Announced in June 2012, it was released worldwide on May 27, 2014 on Windows, PlayStation 3, PlayStation 4, Xbox 360 and Xbox One, while a Wii U version was released on November 18th, 2014 in North America, November 21st in Europe, and December 4th in Japan. Development on the game began in 2009. As part of their research for the open world, the developers conducted field research around Chicago throughout development and captured footage for the design team. Development duties were shared between many of Ubisoft's studios worldwide. The game is set within a fictionalized version of Chicago, Illinois, the single-player story follows a hacker and his efforts to seek revenge after the accidental death of his niece. The open world design lets players freely roam Chicago, which includes the urban city, open countryside, and slums. The game is played from a third-person perspective and its world is navigated on-foot or by vehicle. 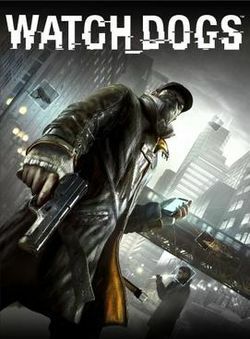 Players control Aiden Pearce, a highly skilled grey hat hacker who can hack into the "ctOS", a centralized operating system which manages the hyper-connected city of Chicago, and formed after a Northeast blackout of 2003 was caused by a hacker. An online multiplayer mode is also provided in the game, allowing up to eight players to engage in both cooperative and competitive gameplay in a recreation of the single-player setting.